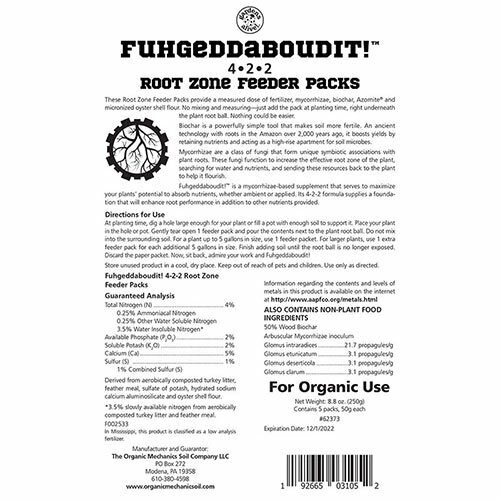 Home » Tools and Décor » Fertilizers » Gardens Alive Fuhgeddaboudit! Apply it once and "Fuhgeddaboudit!" 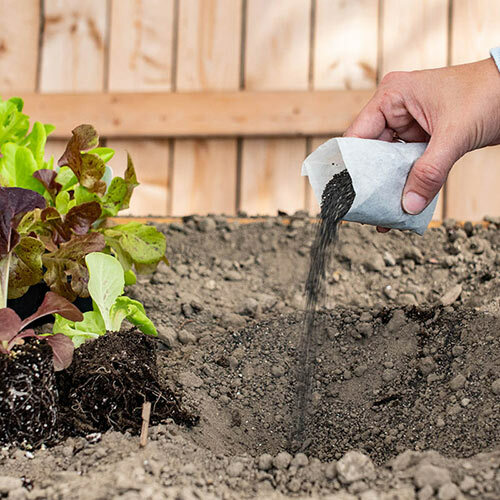 When you're planting or potting something new, pour one of these feeder packs in with the plant. The 4-2-2 formula is a mycorrhizae-based supplement. Mycorrhizae is a symbiotic fungus, which latches on and delivers water and nutrients to your plant's roots. This makes the plant healthier, stronger and more productive—so if you're hoping for your new addition to become a big feature, this will get it there. It is such a simple, easy process, too. No measuring, no mixing, no reapplication. In fact, because it sticks to the roots, you won't even need to reapply if you move the plant to a different site. 5 packets.